Maria Louise Kirk was born in Lancaster, Pennslyania, on 21st June, 1860. 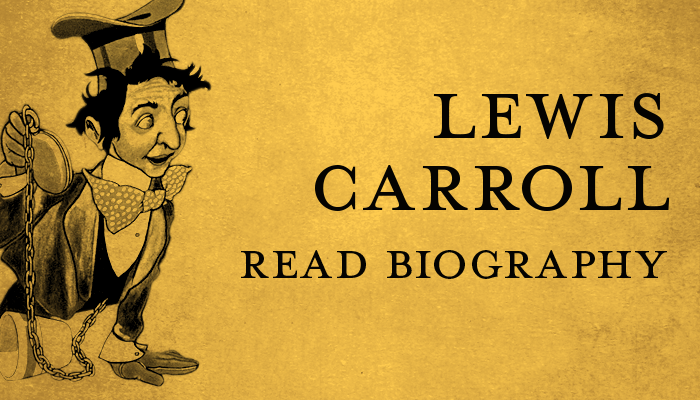 Despite being a prolific and highly talented illustrator, very little is known about her life. She studied art in Philadelphia – at the School of Design for Women, and the Academy of Fine Arts. These schools were well-respected in the area, and Kirk exhibited broadly in her home-state. She consequently won awards in both Phladelphia and Chicago, and illustrated over fifty books during the course of her lifetime. 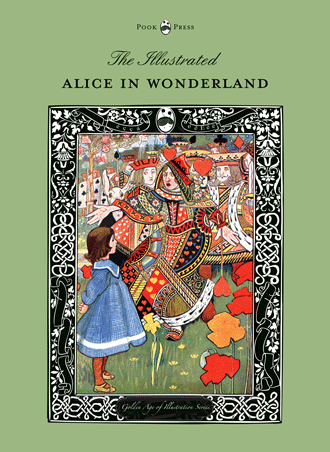 Many of her most famous pieces were commissioned during the 1890s, and her most celebrated work was a delicate rendition of Alice in Wonderland, which came out in 1904. 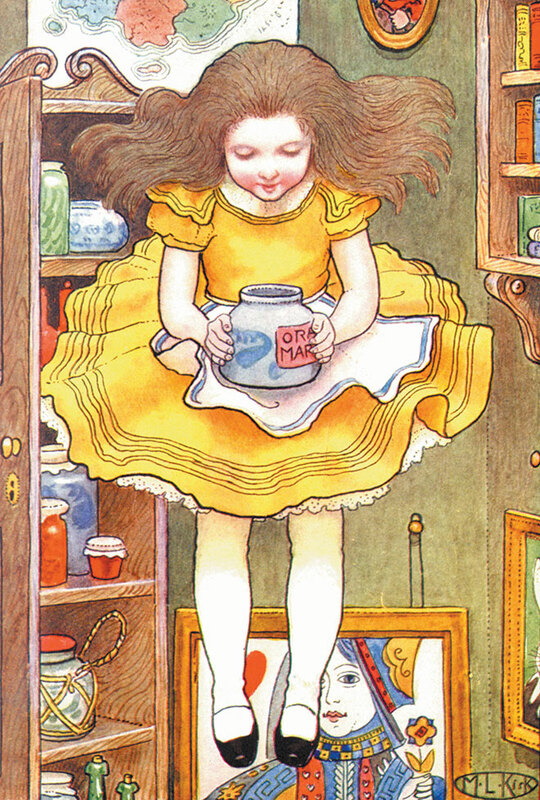 Notably, in Kirk’s illustrations, Alice wears a gold and not a blue dress, and has dark hair (in all but one plate!). 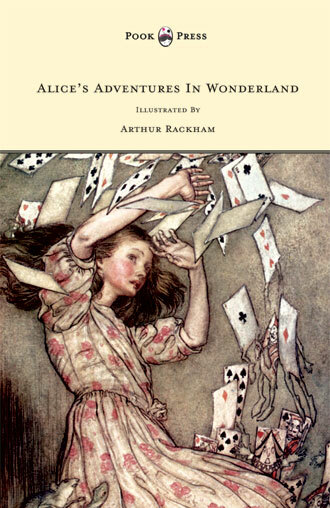 This is a particularly interesting aspect of ‘Alice’ illustrations – as Arthur Rackham, one of the later illustrators, chose to depict the protagonist in a pink and white dress. 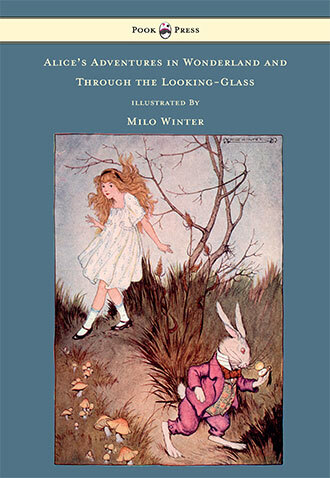 Milo Winter and A. E. Jackson followed his lead, and depicted Alice in a similar dress, whereas in the early period, Charles Robinson, Bessie Pease Gutmann and Blanche McManus were the only artists who (like Dodgson) depicted Alice with her natural dark hair. 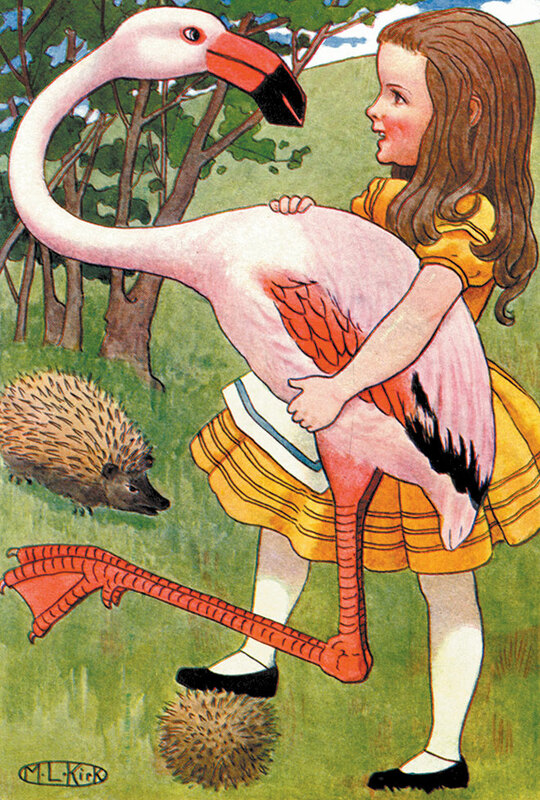 Alice’s Adventures in Wonderland, M. L. Kirk, 1904. 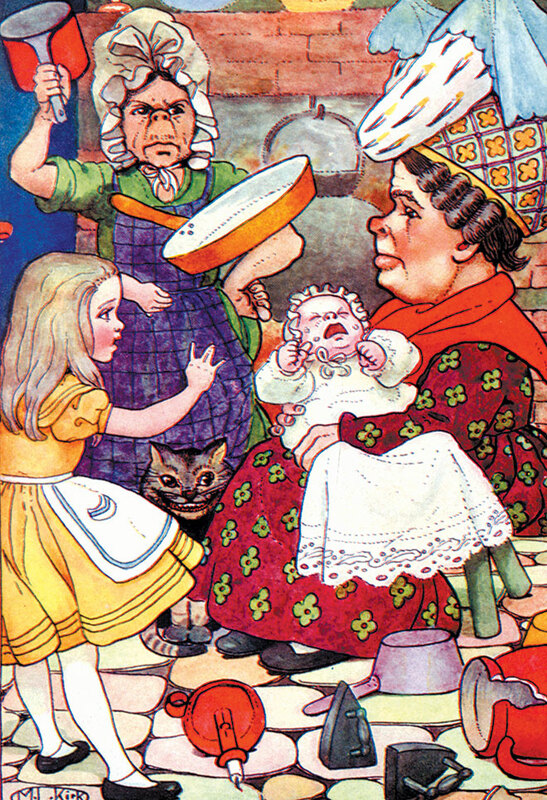 Amongst Kirk’s other well-known works are illustrations for At the Back of the North Wind, written by George MacDonald (1904), Frances Hodgson Burnett’s The Secret Garden, Charles Kingsley’s The Water Babies, Jean Ingelow’s Mopsa the Fairy (1910), another Macdonald work; The Princess and Curdie (1914), Johanna Spyri’s Heidi (1915), Pinocchio; The Story of a Puppet (1920), and Favourite Rhymes of Mother Goose (1923). The Story of the Canterbury Pilgrims – an adaption of Chaucer’s Canterbury Tales – is perhaps her most ‘classic’ set of illustrations (published in 1914). 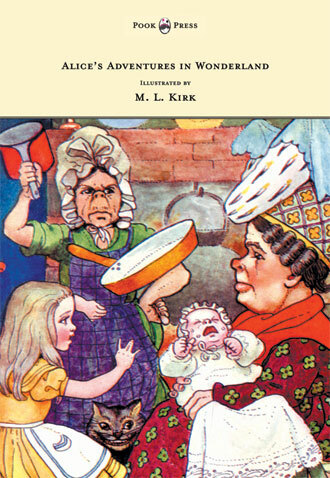 Kirk’s characteristic style included exceptionally technically-well-executed children, with bright foregrounds and foreboding dark backgrounds. 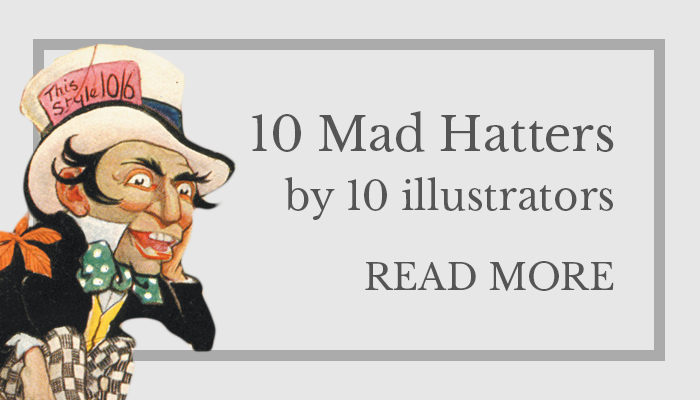 Her characters are stylised, and statuesque in their quiet beauty, but show little of the art nouveaux and art deco influences so prominent for many of Kirk’s fellow illustrators. Today, her monotone works are just as sought after as her colour plates. Maria Louise Kirk died on her birthday in 1938 – at the age of seventy-eight.